Making sweet little cards with Pink Paislee Moonstruck Washi Stickers. Today I am over at Pink Paislee blog sharing 5 different cards and 5 different ways with washi stickers. The Pink Paislee Moonstruck Collection is a whimsical and very beautiful collection of pattern and tone. 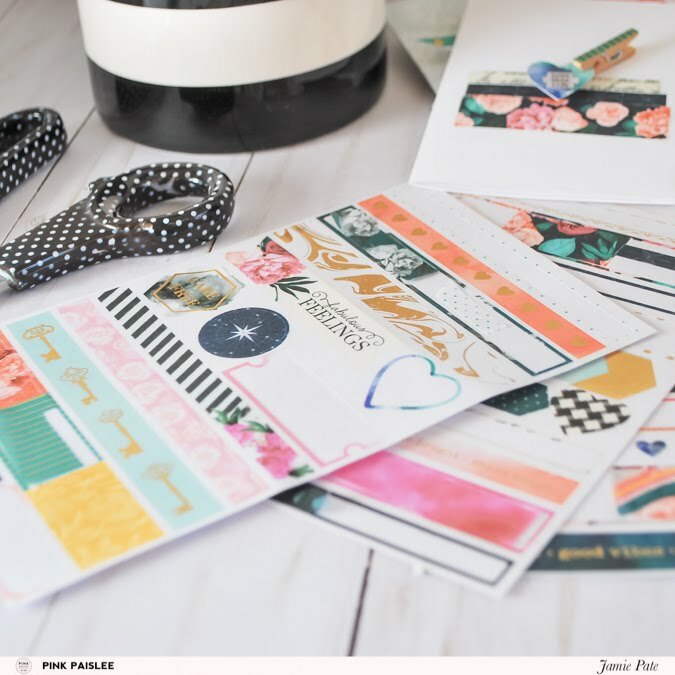 The Washi Stickers capture this collection and a gorgeous way. 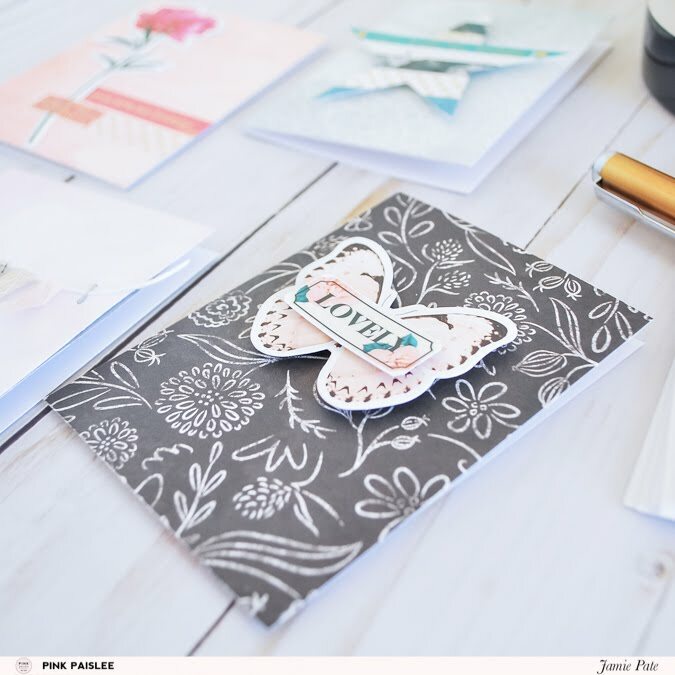 Over at Pink Paislee I share a little tiny tutorial how I used the Washi Stickers 5 different ways. I loved this assignment. 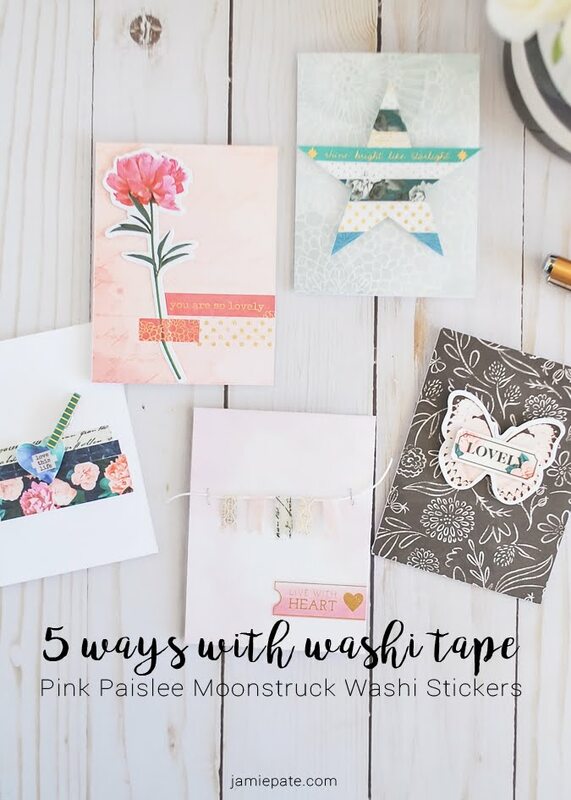 Washi is so very versatile and is a great creative element in one's stash. 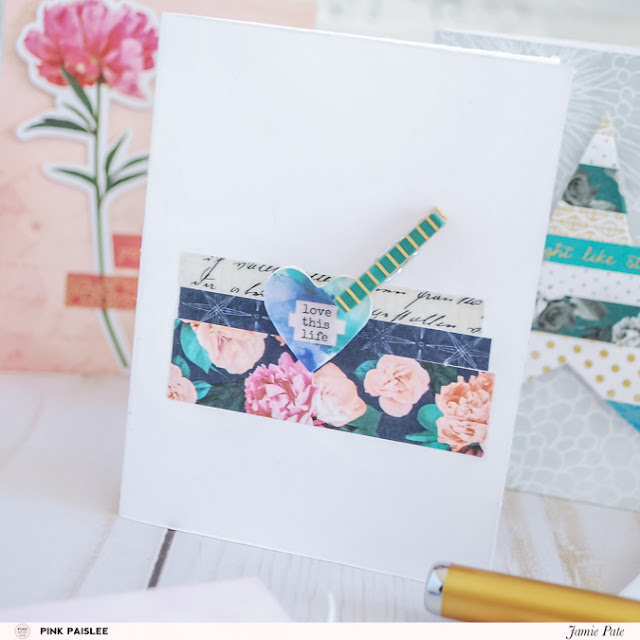 Not only do these washi embellishments adorn these cards in a sweet way, but this could easily be translated for use in pocket scrapbooking as well. I would love for you to visit Pink's page today and check out this little creative outlet for yourself.